These retail for $60+ We built this one for $11, it is bigger and better. A lot of people are not aware of the free stuff you can get. Surplus to our consumer society. I approached our local motorcycle dealership and a kitchen design place. At the first I could take whatever packing crates the motorcycles and mowers came in, both steel and timber. At the second place I got some useful melamine offcuts. All freely given after I asked and explained what I was doing. The two solid lengths of timber I got were 6 ft each. 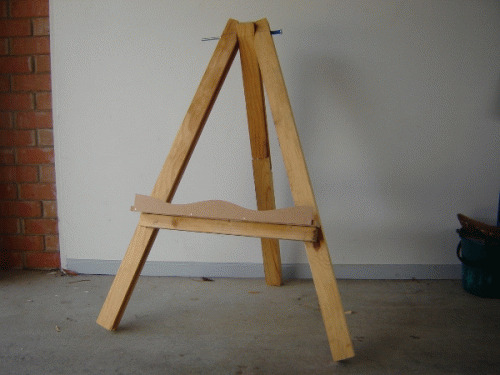 I needed three legs, so my easel was then 4 ft high, based on my available timber. 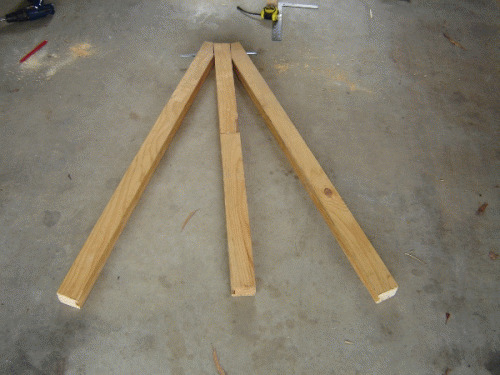 I got two legs and then joined the third leg with a halved joint and glue and screws. I then cut the tops as seen in the photo and drilled a hole through them for the bolt. This bolt will allow the easel to spread and collapse. 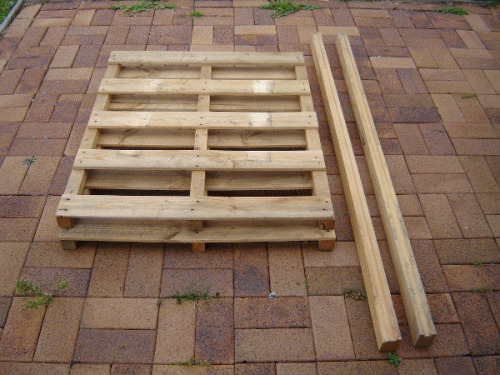 Next I braced the two front legs with a length of timber from the one way pallet. On top of this I scew nailed a melamine offcut to hold the textas, crayons, paints etc. To the front of this I nailed part of the mdf we would use as the backing board. I screwed a chain between one front leg and the back one to provide some more stability, but it is pretty solid and not too heavy. Here it is in action. 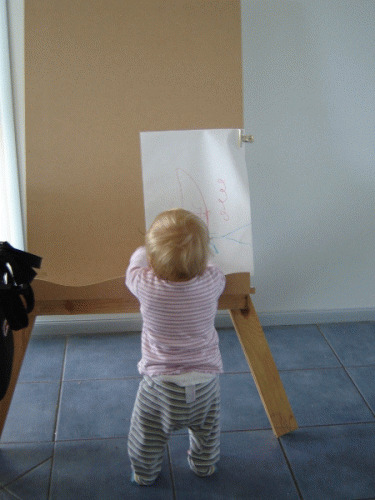 It will provide many years of service, as you can see my daughter can grow into it. We have yet to give it a protective coat of paint. Also we thought we would get some blackboard paint for the back of the mdf to make it into a blackboard as well. Anyway, many hours of fun ahead. Cheap, sturdy and didn't take long.